Did Paul Receive the Holy Spirit by the Laying on of Hands? Question: The book of Acts says that Ananias came and laid hands on Paul so that he would “receive the Holy Spirit.” Does that mean that he had the Holy Spirit before he was baptized? –F.B.U. And Ananias went his way and entered into the house. And putting his hands on him, he said, “Brother Saul, the Lord Jesus that appeared to you in the way as you came has sent me so that you might receive your sight, and be filled with the Holy Spirit.” And immediately there fell from his eyes as it had been scales, and he received sight immediately, and arose, and was baptized. Here we see the miracle of Saul’s sight being restored. Verse 18 makes it clear that was the result of Ananias’ laying hands on him. That much is clear and undisputed by anyone who believes the Bible. The question now, though, is what do we make of the phrase “be filled with the Holy Spirit”? Jesus…has sent me so that you might…be filled with the Holy Spirit. There are several opinions from scholars as to what this means. Some insist that it is the literal indwelling of the Holy Spirit being given to Saul of Tarsus—prior to baptism—by Ananias laying hands on him. Others say basically the same thing, except they say it was the gift of miracles being given to Saul prior to his baptism by Ananias laying hands on him. When Luke uses the phrase “filled with the Holy Spirit” or “full of the Holy Spirit,” miracles (usually inspiration) are always under consideration. Examine them for yourself: John the Immerser (Luke 1:15), John’s mother, Elisabeth (Luke 1:41-45), John’s father, Zacharias (Luke 1:67-79), the apostles (Acts 2:4), the apostles again (Acts 4:31), Stephen (Acts 6:5, 7:55-56), Barnabas (Acts 11:22-24), Paul (Acts 13:9-11), and the disciples of Antioch in Pisidia (Acts 13:14, 51-52). Understanding this, let’s now look at the evidence to come to a rational, biblical conclusion to this potential conundrum. First, Jesus said that the purpose of Ananias’ laying hands on Saul was so he would receive his sight. That was seen in verse 12 of this same chapter. There was no indication in Jesus’ words that Ananias was going to give Saul the Holy Spirit. Second, the only result of this event shown in the Bible is that Saul received his sight. After he put his hands on Saul, the Bible only records that Saul received his sight. It says nothing about him receiving the Holy Spirit. If we look at Acts 22, where Saul (who is also called Paul) is telling about this very event, we see that he doesn’t even mention the Holy Spirit at all—but he does mention receiving his sight again. Third, the ability to pass on the Holy Spirit was only available to the apostles. This is shown in chapter 8, verses 14-18. Ananias was not an apostle, and so—unless someone wishes to argue that Ananias should be classed as an apostle—the evidence is against his being able to pass on this gift. Fourth, Saul was lost in his sins when Ananias laid his hands on him, and was not a candidate to receive the Holy Spirit, for he had not been baptized. This principle is seen in Acts 8:15-16. Acts 22:12-16 shows that he was still lost in sins after Ananias laid his hands on him. The Holy Spirit was promised only to those who were the obedient servants of God. Fifth, Paul makes it very clear throughout his life that he did not receive his apostleship from any man. Miracles (the gift of the Holy Spirit) and the ability to pass them on were “the signs of an apostle.” Paul states that he was “an apostle—not of men, neither by man, but by Jesus Christ and God the Father who raised Him from the dead.” All of the apostles received their miraculous ability direct from heaven. Paul would be no different. Sixth, we see no record of Saul performing miracles until years later. The first time we read of Saul (now called Paul) doing any miracle is in Acts 13:9-11. This is the first time where Paul is said to be “filled with the Holy Spirit.” Now, this does not mean that Paul was unable to perform miracles prior to Acts 13, but it is supportive evidence that he didn’t receive the Holy Spirit when Ananias laid hands on him. There is no evidence that Saul was able to work miracles before that event. Seventh, it took the testimony of Barnabas to convince the apostles that Saul was really a disciple of Jesus Christ. You might ask, What does that have to do with anything? If Saul of Tarsus had the miraculous abilities given by the Holy Spirit at this point, it would have been very simple for him to prove to the apostles and other disciples that he was a Christian. But instead, it took Barnabas speaking on his behalf. Though not conclusive, this evidence seems to indicate that at this point Saul did not have the miraculous gift of the Holy Spirit. Since the evidence implies that Saul did not receive the Holy Spirit when Ananias laid hands on him, what exactly did he mean when he told Saul “Jesus…has sent me so that you might…be filled with the Holy Spirit”? Ananias’ mission was to heal and baptize Saul; to bring him into the family of God and Christ. As you can see from other passages in Acts, the Holy Spirit was only given to those who were servants of God, and who obey Him. Ananias came to help Saul become spiritually acceptable before God, and thus also help him become a candidate for the reception of the Holy Spirit. It was preparatory work. The Holy Spirit in Acts 17:11? The following short segment comes from our upcoming book, The Holy Spirit in the Book of Acts. Enjoy! These [people of Berea] were more noble than those in Thessalonica, in that they received the word with all readiness of mind, and searched the Scriptures daily, whether these things were so. Paul and Silas were both prophets, both spoke by inspiration of God, and Paul (perhaps Silas too) was able to perform miracles—all by the power of the Holy Spirit. Yet God takes a moment to praise the people of Berea because they weren’t content with a prophetic message; they weren’t content with an inspired message; they weren’t content with any miracles that Paul may have performed—they knew that the message had to match up with the Scriptures in order for it to be truly from God. Prophets were temporary (Zechariah 13:2). Miracles (including inspiration) were temporary (I Corinthians 13:8-10). But God’s word remains forever (I Peter 1:23-25). The word of God is called “the sword [or the weapon] of the Spirit” (Ephesians 6:17). It is the word of God that is able to save the souls of men (James 1:21). Miracles can’t save souls—the word of God can. The Holy Spirit, therefore, is active in every case of conversion from Pentecost through today—but His tool for converting the lost is the living and active word of God (Hebrews 4:12). The Holy Spirit is also active in guiding Christians ever since Pentecost in the very same way: through the Scripture which is able to make us perfect (II Timothy 3:16-17). 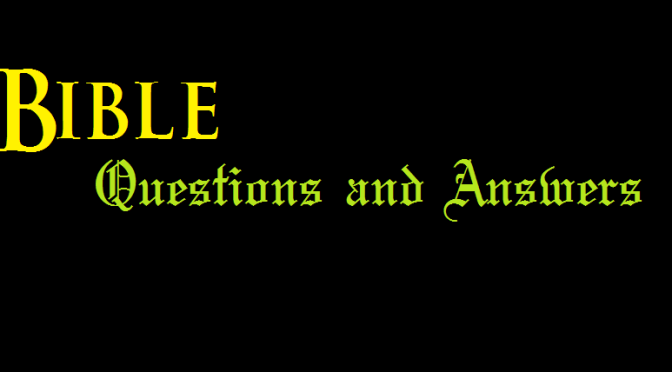 Bible Q&A – Did Paul Receive the Holy Spirit by the Laying on of Hands? Question: Ananias was sent to Damascus in Acts 9 to lay hands on Saul of Tarsus (later the Apostle Paul). One of the reasons he came was so that Saul could “receive the Holy Spirit.” So, did Saul receive the Holy Spirit by the laying on of hands?–L.F. When Luke uses the phrase “filled with the Holy Spirit” or “full of the Holy Spirit,” miracles (usually inspiration) are always under consideration. Examine them for yourself: John the Immerser (Luke 1:15), John’s mother, Elisabeth (Luke 1:41-45), John’s father, Zacharias (Luke 1:67-79), the apostles (Acts 2:4), the apostles again (Acts 4:31), Stephen (Acts 6:5, 7:55-56), Barnabas (Acts 11:22-24), Paul (Acts 13:9-11), and the Iconium disciples (Acts 13:52-14:1). First, Jesus said that the purpose of Ananias’ laying hands on Saul was so he would receive his sight. That was seen in verse 12 of this same chapter (Acts 9). There was no indication in Jesus’ words that Ananias was going to give Saul the Holy Spirit. Second, the only result of this event shown in the Bible is that Saul received his sight. After he put his hands on Saul, the Bible only records that Saul received his sight. It says nothing about him receiving the Holy Spirit. If we look at Acts 22, where Saul (who is also called Paul) is telling about this very event, we see that he doesn’t even mention the Holy Spirit at all—but he does mention receiving his sight again (Acts 22:12-13). Third, the ability to pass on the Holy Spirit was only available to the apostles. This is shown in chapter 8, verses 14-18. Ananias was not an apostle, and so—unless he is classed as an apostle—the evidence is against his being able to pass on this gift. Fourth, Saul was lost in his sins when Ananias laid his hands on him, and was not a candidate to receive the Holy Spirit, for he had not been baptized. This principle is seen in Acts 8:15-16. Acts 22:12-16 shows that he was still lost in sins after Ananias laid his hands on him. The Holy Spirit was promised only to those who were the obedient servants of God (Acts 2:17-18, 5:32). Fifth, Paul makes it very clear throughout his life that he did not receive his apostleship from any man. Miracles (the gift of the Holy Spirit) and the ability to pass them on were “the signs of an apostle” (II Corinthians 12:12). Paul states that he was “an apostle—not of men, neither by man, but by Jesus Christ and God the Father who raised Him from the dead” (Galatians 1:1). All of the apostles received their miraculous ability direct from heaven (Acts 2:1-4, 4:29-31). Paul would be no different. Sixth, we see no record of Saul performing miracles until years later. The first time we read of Saul (now called Paul) doing any miracle is in Acts 13:9-11. This is the first time where Paul is said to be “filled with the Holy Spirit.” Now, this does not mean that Paul was unable to perform miracles prior to Acts 13, but it is supportive evidence that he did not receive the Holy Spirit when Ananias laid hands on him. There is no evidence that Saul was able to work miracles before that event. Seventh, it took the testimony of Barnabas to convince the apostles that Saul was really a disciple of Jesus Christ. You might ask What does that have to do with anything? If Saul of Tarsus had the miraculous abilities given by the Holy Spirit at this point, it would have been very simple for him to prove to the apostles and other disciples that he was a Christian. But instead, it took Barnabas speaking on his behalf. Though not conclusive, this evidence seems to indicate that at this point Saul did not have the miraculous gift of the Holy Spirit. Ananias’ mission was to heal and baptize Saul—to bring him into the family of God and Christ. As we’ve seen from other passages in Acts (2:17-18, 5:32), the Holy Spirit was only given to those who were servants of God, and who obey Him. Ananias came to help Saul become spiritually acceptable before God, and thus also help him become a candidate for the reception of the Holy Spirit. It was preparatory work. The example of Cornelius, who was a faithful servant of God under the Patriarchal Law, will be dealt with in the notes on chapters ten and eleven. 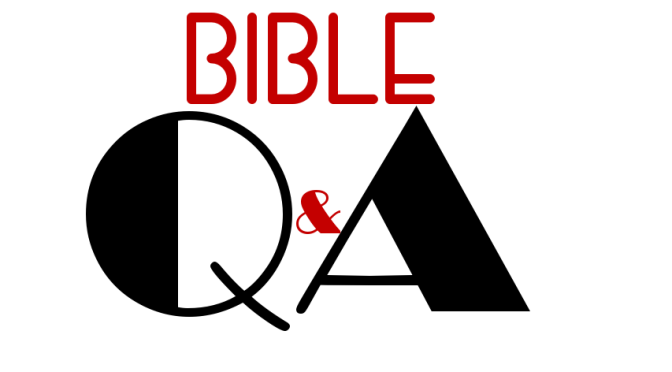 Bible Q&A – Is Jesus Deity? This letter may make you chuckle along the way, but hopefully it will show that you can answer the question from the Bible. Enjoy! How are things going up there on the farm? I heard that the rain washed out the road to your house and you were stuck there with Uncle Bubba for a whole week. I hope you have recovered from that ordeal. I am proud that you went out and got Junior a job at the chicken houses. At least now, he will have a reason to smell. Grandpa told me you had some of them “Jehovah’s Witnesses” come to your door a couple days ago. He said they were planning on coming back this weekend. Because of that, I decided to send this in an email so you would have it faster. I know they were telling you that Jesus is not really God or a part of God, but that He was just the first angel that was created. That simply is not true, and I’ll try to explain how you can know that Jesus is not a created angel, but that He truly is and was God. I guess first, we should start off with a more general question: Did Jesus even exist? There are many people (especially atheists) who say that Jesus is a myth and that He never even came to earth. Jesus did exist, and it is not just stated in the Bible. There are other historical sources that prove that Jesus actually existed. Flavius Josephus was a Jewish historian that worked for the Roman Empire around 40-60 years after Jesus died. He wrote a book called “Antiquities of the Jews” in which he spoke of Jesus, called Him the Christ, mentioned His crucifixion, and even mentioned the “tribe of Christians” that still existed to that day, which were named for Him. There was another man who, while he was in jail, wrote a letter to his son which asked what good came of the Jews executing their wise king. He then said that the Jewish nation was abolished, but the wise king did not die permanently, because his teaching lived on. This was a reference to Jesus, and was written in AD 73, just 40 or so years after Jesus died. This letter is currently on display at the British Museum. There are several tombs around Jerusalem that have inscribed on them “remember me, Jesus, in the resurrection.” These tombs are from AD 30-60. These people obviously knew Jesus existed, for they were alive at the same time He was. Even people who were against Christianity wrote of Jesus as being a real person. Another historian, named Cornelius Tacitus, wrote in AD 115-117 that “Christos suffered the extreme punishment by Pontius Pilate, and now the followers have spread their lies in Judea and Rome.” Christos is Jesus Christ, and as you can see from the quote, this guy didn’t like Jesus or the Christians. But notice that He admitted that Jesus did exist. More examples could be given, but I think this is enough for now to show you that Jesus really did exist. The Bible states pretty clearly that Jesus is God. First, have you ever noticed that it calls Jesus the “Son of God” quite a bit? That shows that Jesus is God. That might sound confusing, but let me explain. Junior is the son of a Berthwait, right? Because of that, he is a Berthwait also, right? He has the qualities of a Berthwait. Just look at his nose and his stomach. There is no mistaking tat Junior is a Berthwait. The same is true of Jesus. Since He is the Son of God, you would expect Him to have the characteristics of God. What does the Bible say? God is eternal. The name Jehovah means “the always existing one.” He told Moses that His name was “I AM.” That is in Exodus 3:14, by the way. Well, is Jesus eternal? He said that “before Abraham was, I AM.” Jesus called Himself the always existing one. That was John 8:58. Since Jesus is always existing, He is God. God is the creator of all things. The first verse of the Bible starts off “In the beginning God created…” John 1:1 says “in the beginning was the Word,” and in verse 3, “all things were created by Him (the Word), and without Him (the Word) was not anything made that was made.” If God made everything, who is “the Word”? In John 1:14, it says “The Word became flesh and dwelt among us, and we beheld His glory, the glory as of the only begotten of the Father.” So, we can see that the Word was the only begotten of the Father. That means He was God’s own Son, Jesus. So, if Jesus created all things and nothing was created without Him (as it said in John 1:3), Jesus must be God. Genesis 1:1 said God created everything. You might ask the “Jehovah’s Witness” that comes this weekend to explain to you how Jesus could create everything that was ever created if He was created. That would mean that somehow Jesus created Himself, which is impossible. Colossians 1:16 says that by Jesus “all things” were created in heaven or on earth. Since Jesus created everything, He is God. God is the only one that can forgive sins. I John 1:9 says if Christians confess our sins, God will forgive us of them. Jesus said that while He was on earth, He had the power to forgive people of their sins. Matthew 9:2 and Luke 7:48 show two different time Jesus forgave people of their sins. Since Jesus could forgive sins while He was on earth, He is God. God alone is worthy of worship. Even Jesus said that “you shall worship the Lord they God, and Him only shall you serve.” The apostles refused to accept worship, and even angels refuse to accept worship. But Jesus accepted it. He was worshipped at many different times, and said nothing against it, but accepted it. Jesus healed a man and later that man worshipped Him (John 9:35-38). The apostles worshipped Him. Since Jesus accepted worship, He is God. Now understand, it is easy for someone to claim to be eternal, or be the creator, or to be able to forgive sins, but it is an entirely different thing to prove it. In the Bible, people sent from God always were able to back up their words with miracles. The purpose of miracles was to confirm that the message and the messenger were from God. When Moses was told to go speak to the Israelites and tell them that he was leading them out of Egypt, he asked God “what if they don’t believe me?” God gave him three miracles to perform to prove what he said. These are shown in Exodus 4:1-9. In Mark 16:17-20, the apostles were sent out to spread the gospel, with miracles to confirm the words they were teaching. When someone was able to work genuine miracles, it showed that God approved of their message. The apostles were able to work these miracles, showing that their message was from God. But the words they spoke were Christ’s words, showing that God approved of them teaching about Jesus Christ. When Jesus said He had power on earth to forgive sins, some people questioned Him and even accused Him of blasphemy. In order to prove that He had the power on earth to forgive sins, He healed the man that He had forgiven. This man had been bedridden for years, but Jesus made him completely healed and the man got up and walked away with his cot. Jesus performed miracles to prove what He said. He proved He was able to forgive sins, so He proved He was God. Since miracles show God’s approval of the message and the messenger, Jesus’ miracles confirm the things He taught. It shows that Jesus really was eternal, and therefore He was God. It shows that Jesus really could forgive sins, therefore He was God. Colossians 2:9 says that in Jesus dwelt all of the fullness of the Godhead bodily. That means Jesus was God in human form. I Timothy 3:16 says that God was manifest (that means clearly seen) in the flesh. Colossians 1:15 says that Jesus was the image of the invisible God. In Acts 20:28, Paul tells the elders of the church at Ephesus to “take heed to the church of God…which He purchased with His own blood.” When did God buy something with His own blood? I Peter 1:18-19 says Christians are redeemed (bought back) with the precious blood of Christ. This also shows that Jesus is God. I think that should give you enough information for now to show that Jesus really is God. But while we’re on the topic of Jesus, there’s one more thing I think I ought to discuss before I let you go. Some people, realizing that they can’t argue with the evidence of Jesus’ existence, have tried to say that Jesus never really died on the cross, or if He did, He never was raised from the dead. Neither one of those statements are true. First, just look at all the people in the Bible who confirmed that Jesus died on the cross. All four gospel writers state that He died (specifically, that He “gave up the ghost”). The soldiers who were in charge of the crucifixion confirmed that Jesus was dead (John 19:32-33). Pilate was told Jesus was dead, but made sure for himself by sending for the Centurion in charge (Mark 15:44-45). After He was dead, even the Pharisees (Jesus’ enemies) confirmed He was dead (Matthew 27:63). Therefore, there is no way that He could have just fainted on the cross. There is no doubt, going by the Bible, that Jesus was indeed dead. He was buried in a tomb, and the tomb was sealed. The Sunday after He died, the tomb was found empty. The burial cloths were still there, including the face cloth folded by itself. This shows that no grave robber could have taken the body, because they would not have unwrapped the body and then taken it. If the disciples had stolen the body, they would have taken it as is, and the burial cloths would not be left there. There were many witnesses that saw Jesus after He was risen from the dead. Mary Magdalene saw Him first (Mark 16:9). Afterwards, Peter saw Him (I Corinthians 15:4-5). He was seen by the apostles on multiple occasions (John 20). He was seen by Paul (Acts 9:1-7). He was even seen by around 500 disciples at the same time, most of which were still alive when Paul pointed this fact out (I Corinthians 15:6). This is evidenced by the change that happened in the life of the apostles after the resurrection. Before Jesus died, the apostles abandoned Him because they feared for their own lives. After the resurrection, they spoke boldly in the face of the same Jewish leaders who had Jesus put to death. Before the resurrection, the disciples met in secret (John 20:19), afterwards, they boldly proclaimed Jesus in the temple in front of thousands (Acts 2). The fact that their lives changed so dramatically shows that the resurrection was true. If the resurrection was a lie, they would not have been willing to take all the constant persecution and possible death that came with being a Christian. Paul even said that if the resurrection was fake, all of his hope was worthless (I Corinthians 15:13-14). If the resurrection is not a fact, the entire Bible is unreliable. If the resurrection is not a fact, the Bible is a lie. That would mean we have no hope of heaven, we have no right to pray to God to ask for help, and we have no purpose in this world but to live and die. But since the Bible is inspired, we can trust what it says. Jesus was resurrected, and we have our hope! Throughout the New Testament, evidence is seen of Christ’s death, burial, and resurrection. That’s what baptism pictures. Paul said in Romans 6:3-4 that we are baptized into His death (therefore He died), and we are raised with Him (therefore He was risen from the dead) to walk in newness of life. Well, Aunt Agnes, I didn’t mean to write such a long email, but I hope this is helpful. If you need anything else, just let me know. Our teacher has given us a lot of good material on these things, and if you want I can copy them off for you and mail them your way. Tell Uncle Bubba I’m sending them postage due like he did with my birthday card last year. Grandpa still cracks up when he thinks about it.